S.P.M. Tasker engineer and industrial. A dress not unlike Taylor’s was designed in 1881 by another American, Stephen P.M. Tasker. His specification is very clearly written (a somewhat unusual occurrence). He proposed to use a metal dress articulated with bellow joints, and to cover the whole with an external waterproof flexible dress of the ordinary pattern. This is a seductive idea, which apparently obviates the need for a strong and yet watertight joint at the articulations; but it is a fallacy. 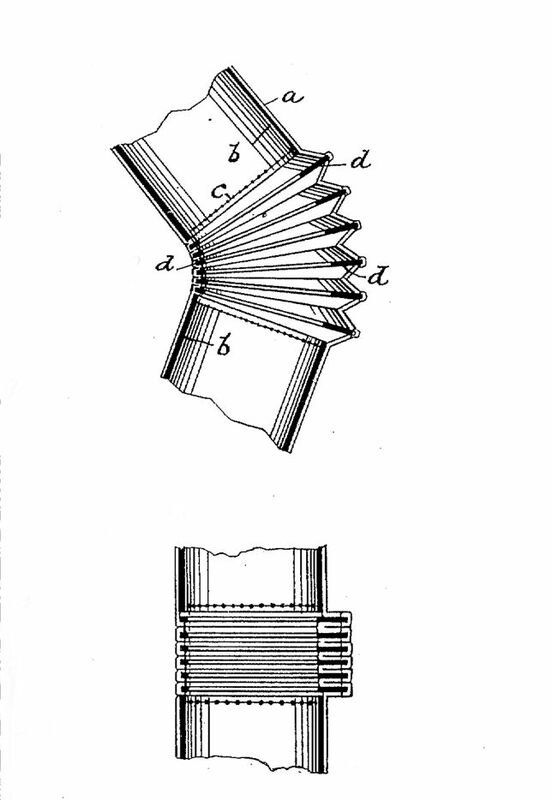 If there are any weak interstices in the joints themselves, the outer dress will first be squeezed into these; then as the pressure increases, the joints will be forced apart, the outer covering split and the inner suit flooded. 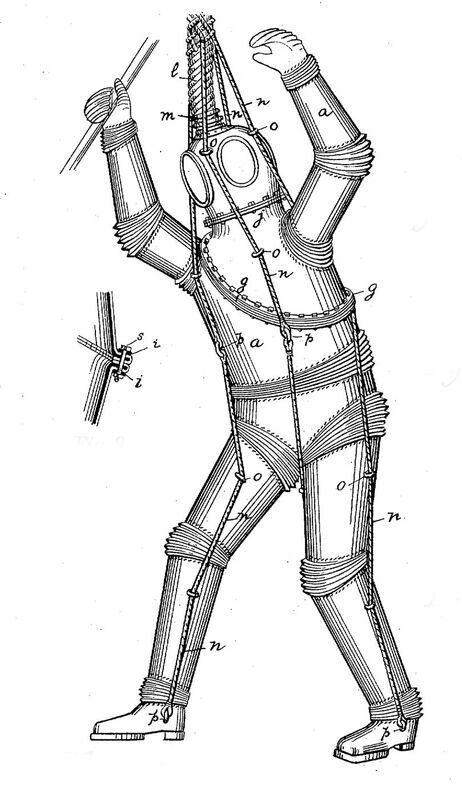 An unuaual feature of Tasker’s design, which indicates his care for details, is the provision of four ropes, leading through eyes formed on the trunk and legs of the dress, and designed to support its weight while being lifted, Thus removing the risk of the leg joints being torn open by the weight of the leg armour itself. The air-pipe consisted of two concentric pipes, one for the supply and the other for exhaust, and the leg ropes were brained round the outer pipe so as to form a single flexible unit. Tasker proposed to use a metal dress articulated with bellow joints, and to cover the whole with an external waterproof flexible dress of the ordinary pattern.